Booths overﬂowing with gorgeous foods of every kind, intoxicating aromas of spices and cheeses, merchants enthusiastically shouting over the crowds to sell their wares – these are just a few of the joys of visiting the food markets around the world. 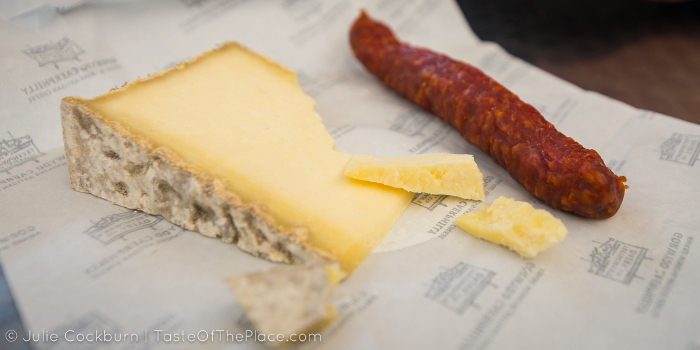 As every food traveler knows, visiting the local market can be the highlight of a trip. 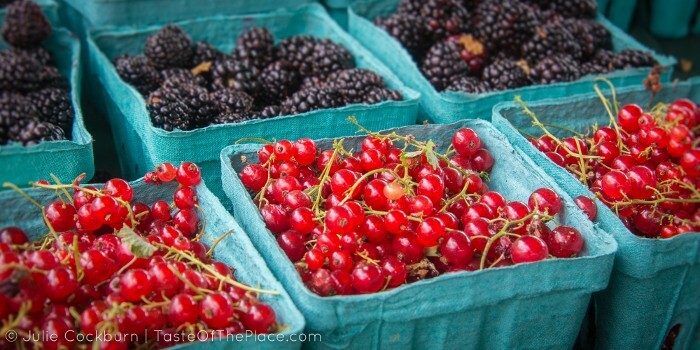 Capturing stunning, savor-worthy photos of that market, however, can be quite a challenge. Even the smallest of food markets are typically chaotic, with vendors trying to get your attention, constant motion everywhere, and of course, other shoppers bumping into you and blocking your shots. With so much going on, getting even a single decent image can be frustrating enough to make you give up and head to the nearest pub. Fortunately, there are a few ways to make the experience of photographing a busy market not only tolerable, but enjoyable. Whether you are a serious photographer or simply want to take a few Instagram worthy pics of your visit to the market, these simple and easy to implement tips will help you navigate the chaos and capture those drool worthy food market images. Do a bit of research to discover when the market is typically less crowded, but still well stocked with goods. In most locations, this is shortly after the market opens for the day. The booths are usually overﬂowing with the freshest, most beautiful foods, the vendors are still (hopefully) in good spirits, and the market won’t be swarming with mid-day shoppers blocking your shots or getting annoyed that you are in their way. Bonus – if you are visiting the market in the morning, the natural morning light is likely to be at its most complimentary. Whether you are visiting the market just to take photos, or you’re there to pick up lunch for the day and grab a few pics while you’re at it, it’s a good idea to take a few minutes to absorb the whole scene. Walk around, look at the booths, chit chat with a vendor or two, and get to know the place. When you do, you will get a quick feel for the where the best photos can be found, as well as where to ﬁnd the tastiest looking goodies for your lunch. ) Focus on the details The busier it is, the harder it can be to get a good wide shot. So rather than trying to ﬁght the crowds, focus on the little things right in front of you. Fortunately, so much of the beauty of a market can be found in the details – the individual stacks of cheese, the perfect pastry, the hands of the vendors tending their wares. The busier it is, the harder it can be to get a good wide shot. So rather than trying to ﬁght the crowds, focus on the little things right in front of you. Fortunately, so much of the beauty of a market can be found in the details – the individual stacks of cheese, the perfect pastry, the hands of the vendors tending their wares. Markets are, by their very nature, chaotic. Elbows are ﬂying, people are shouting, there is hustle and bustle everywhere. If you aren’t able to be there during the quietest time of day, and instead ﬁnd yourself in the middle of the craziness, embrace it in your photos. Don’t be afraid to show the long lines, or capture images with lots hands reaching in for goods – it’s all part of the story. Bonus idea – If you have the ability to control the shutter speed on your camera and have a way to stabilize it (this would be a good scenario for a lightweight monopod), why not try taking a longer exposure shot. Focus on something interesting, and allow the motion of activity to blur all around it. Trying to take photos while loaded down with stuff is not fun. Your arms get tired, you tend to drop things, and pretty soon you are so frustrated that you shove the camera away and say forget it. Do yourself a favor and shoot your photos ﬁrst, then put the camera away and dive into some delicious shopping. 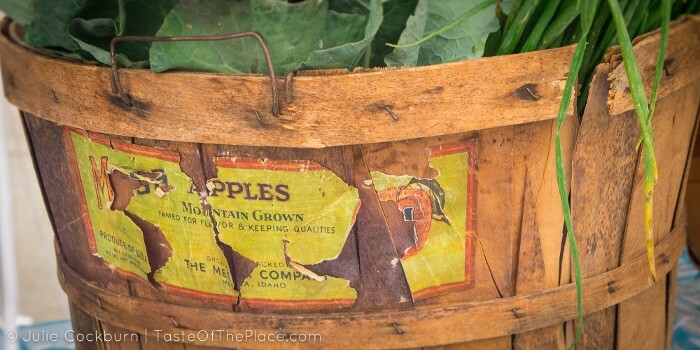 Sometimes shooting somewhere else is your best bet, especially if you want to compose a shot of particular items. Why not purchase a few beautiful (and tasty) goodies, head to a lovely location, and shoot there at your leisure. Big bonus – now you have a picnic to enjoy! • Whether you are using a smart phone or a high-end DSLR, make sure you are well acquainted with your camera before you go. 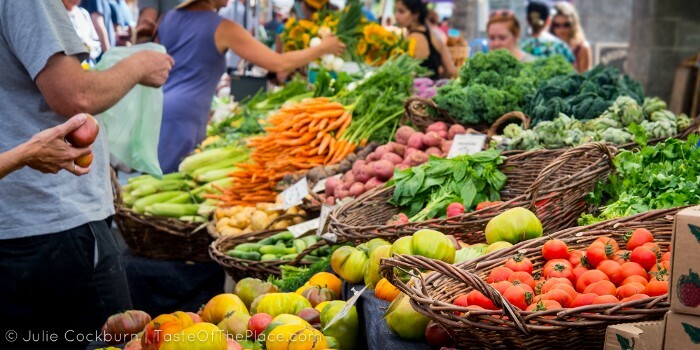 When you are shooting at the market, you are going to feel pressured to move quickly. Before you go, at a minimum, make sure you know how to quickly set the focus and adjust the brightness. • Make sure you check your photos as you go. Have you ever gotten home from an event, downloaded your photos, and discovered they were all blurry? No fun! Unfortunately, the displays on most cameras and smart phones are too small to really show if a photo is out of focus. To avoid this tragedy, take a few seconds from time to time to zoom in on your pics and ensure they’re looking good. • Think about the light. Try to use natural, diffused light whenever possible. Look for booths that are bright and open. Keep in mind that food generally looks great when lit from the side. This means that while you are shooting, try to position yourself so the natural light is ﬂowing from either your left or right, and across the food. With just a bit of planning and thoughtfulness during your next trip to the food market, you can take away not only some delicious goodies, but some drool worthy photos to remember your experience! This article is prepared by Julie Cockburn, a culinary travel specialist, cookbook author, and food photographer at TasteOfThePlace.com. Grab more culinary travel photography tips, plus download a free travel photography packing check list at tasteoftheplace.com/travelfoodphotographytips . Great tips! 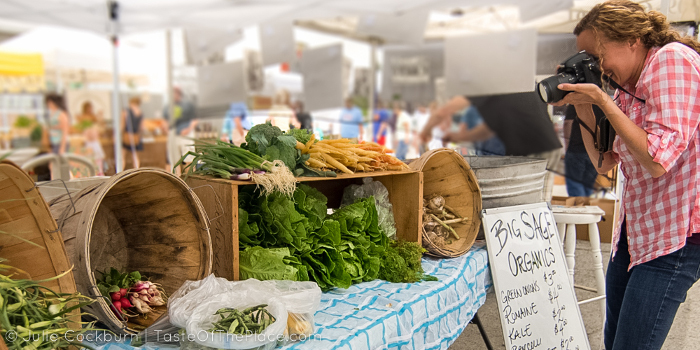 I love going to the local farmers market, but haven’t had to chance to do some photography there yet. I will try these tips when I get the chance. Thanks.